Cliff Wener recently returned from an assignment with Winrock in Bangladesh and had much to say about the benefits of international volunteerism. Seven hours from the Nepalese capital city of Kathmandu, nursery owner Mr. Hari Gautam smiles, with tears in his eyes, overjoyed to see a man who helped him improve his nursery business five years prior. 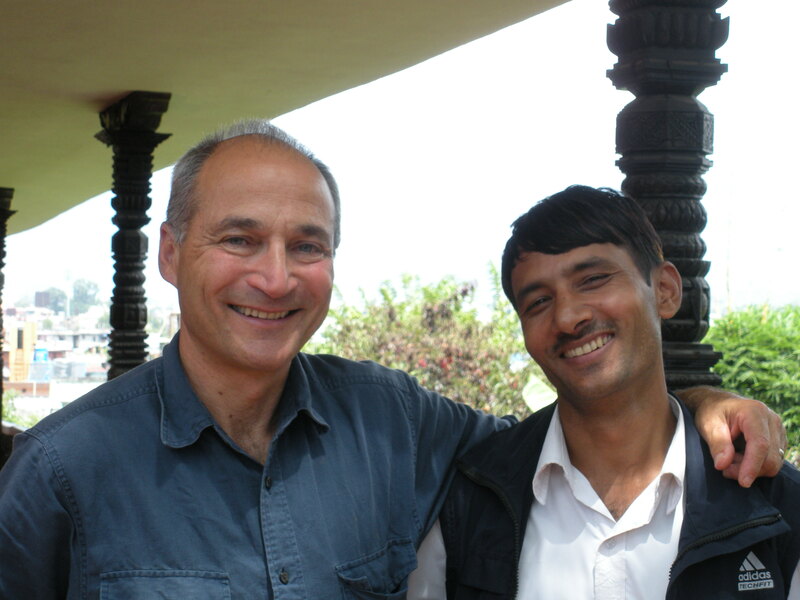 The man, Mr. Howard Prussack, a Winrock volunteer who has lent his time and expertise multiple times to help the Nepali people, was pleased to know that he made such a positive impact. “I received skills and knowledge from Mr. Howard. This is what made my business a success. It was really a life ‘turning point’ for me,” Mr. Gautam proudly states. These are the interactions that make the USAID-funded Farmer-to-Farmer program so powerful. Please share your volunteer story! Volunteers are the heart of our Farmer-to-Farmer programs. The unique perspective of each volunteer, and the people-to-people exchange inherent to international volunteerism, are what make these programs successful. The stories we hear from each volunteer remind us every day why we do what we do; and we hope these stories can inspire others to get involved and embark on a rewarding -and often life-changing- opportunity abroad. We invite our previous and current volunteers to contribute to this blog site by sending inyour stories. What was your experience as an international volunteer? What did you learn? What inspired you? “Faso Yirwa Ton Women’s Cooperative was created in 2005 but remained a fledgling, loosely-organized group of 52 poor, non-literate women in Banamba, Mali who were struggling to deal with poverty in their communities.